We’re ready to announce that we’re working on something major, but first, let’s take a look back at where we’ve come from and why we’ve reached the decision we have. Since officially releasing version one of the platform over a year and a half ago, we’ve seen our user base evolve greatly as more and more of you build amazing eCommerce sites and apps. Our mission has always been to make commerce more accessible to developers by removing the frustrations we experienced after years of working with other platforms. Everything we do is benchmarked against three simple principles; flexibility, stability, and speed. While we feel we’re delivering on flexibility with great tools like Flows, we’ve always been open about the challenges we face when it comes to the latter two points. Throughout the first nine months of 2015, we maintained an average response time in the low 200-millisecond range; higher than we would have liked but still pretty stable. In August we started work to improve this number in preparation for the upcoming holiday period, as we were already seeing slow increases in usage volume and response times. With these changes, we saw some response decreases but as we came into October our usage levels had doubled, and by December they had doubled again! By January we projected that usage would have tailed off with the end of the holidays, but instead, it continued to climb and our average response time too had risen into the mid 400ms range. The graph above demonstrates what that time period looked like. You’ll notice that usage in the past months started to slow, primarily because we were starting to hit the upper limits of what the platform is capable of handling with the current architecture. The current platform was originally built three years ago by a small team facing scaling challenges big enough to keep large enterprise employees awake at night. Since then we’ve learned more about how our platform is used and there’s been a dramatic change in the wealth of technologies available to us. We’ve also raised significant financing, allowing us to build an experienced team around us to start making positive changes we can now announce with confidence. We’ve already started work on tearing down the monolith, which can be seen in our recent announcements about creating separate billing, user, and authentication services. They’ve gone a long way to improving performance, stability and ongoing development and the next step is very much in the same vein. As a result of what we’ve experienced over the past few months, the team has been working hard behind the scenes on the future of Moltin. We’re very excited to finally announce that version two development is well underway and is already shaping up to be a significant leap forward. We’ve taken everything we learned from building version one and are using it to enhance and add highly requested features, tighten up responses and provide better support going forward. This wasn’t a decision we made lightly and we consistently looked for ways to improve on the existing codebase rather than release a major new version. Unfortunately, it became clear that this was the only way to progress. The announcement is being made early to give us time to provide as much information as we can and to help all of you prepare for a potential migration, although we’re going to make that as easy as possible. We also wanted to give everyone a chance to test the beta (mid-June) and provide feedback throughout the process. To coincide with the version two launch, we’re also releasing a brand new dashboard, documentation platform, SDKs and getting started guides which we’ll be discussing in more detail in the coming weeks. Internally the platform is going through a major overhaul to ensure components are more decoupled than ever and give us room to scale much further and faster than we can currently. These announcements may not come as a surprise to all of you as we have been dropping subtle hints here and there over the past few months but we’re very happy to finally confirm our plans and have some huge updates to announce as we move towards public testing. This announcement just scratches the surface of what’s to come. We’ll be releasing further updates and information over the coming weeks and look out for beta access towards the end of June. 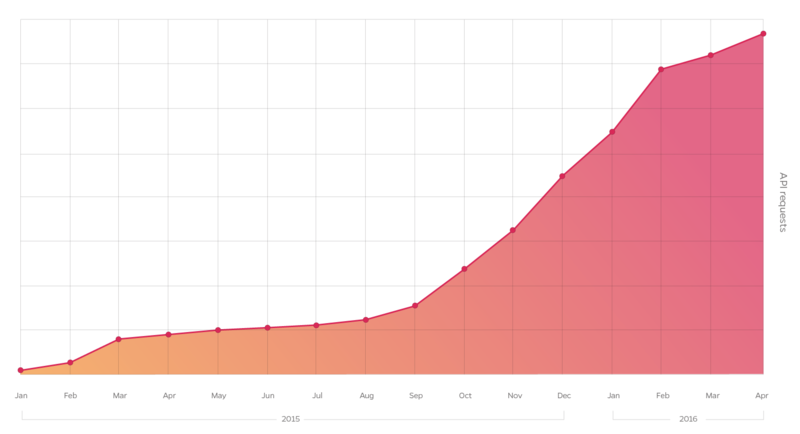 TL;DR: Version one usage grew faster than we could scale. Version two is in development, beta released in June. Next week we’ll be discussing the future of version one, and to be notified of this and future announcements, make sure you’ve got a Moltin account so you receive our newsletter and follow @moltin on Twitter. Have you got a spare two minutes to answer our survey to provide us with your current thoughts on Moltin to allow us to improve the way you want us to?